Amid all the hand-wringing that 14th Street is being overrun by big-box chains and national restaurant groups comes something much more indie: Seven Reasons. The avant-garde Latin restaurant opens for dinner on Tuesday, April 16 from Ezequiel Vázquez-Ger, a South American political consultant-turned-new restaurateur, and Enrique Limardo, the former executive chef of Baltimore’s lauded Alma Cocina Latina (and also the consulting chef for nearby fast-casual Chicken + Whiskey). Here are seven reasons we’re curious to check it out. 1. The chef made waves in Baltimore—and traveled the world—before landing here. 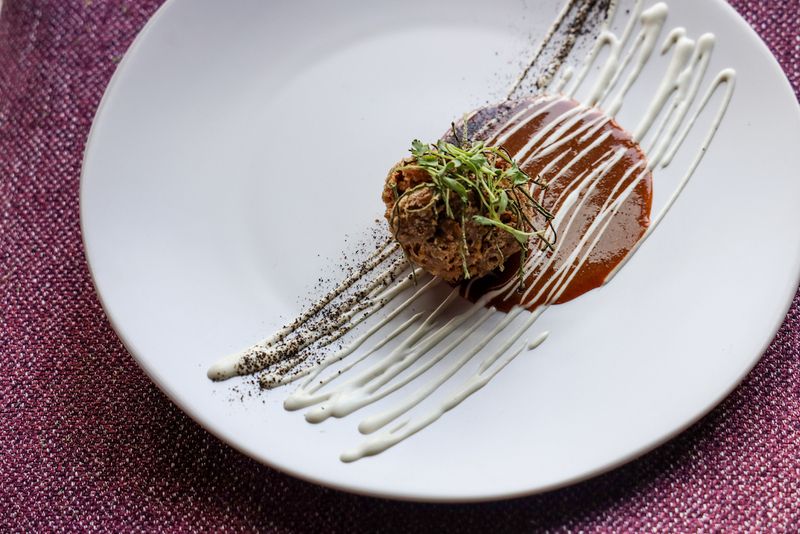 Limardo opened two restaurants in his native Caracas before bringing his modern interpretations of Venezuelan cuisine to Alma. (Also on the resume: culinary school and Michelin stints in Spain plus 12 years spent traveling the world as a private chef.) In 2017, his cooking at Alma garnered 3.5 stars from the Washington Post—the same wattage as Himitsu and Metier, to put things in a DC perspective. A sweet and sour duck tongue chicharron with spicy merken sauce, sour cream, sea beans, and onion ash. 2. You might find termites and other Amazonian ingredients on the menu. 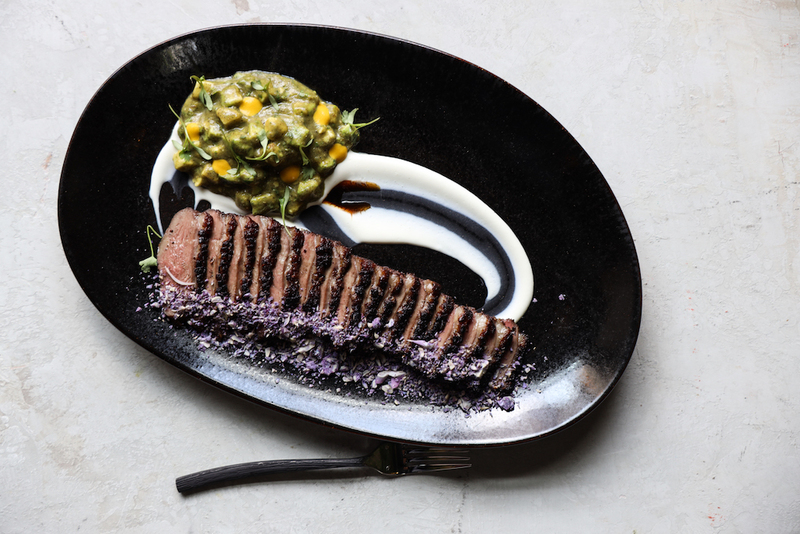 Dishes take influence from across South America but Limardo says “the spine” of the cooking is Caribbean and Amazonian. 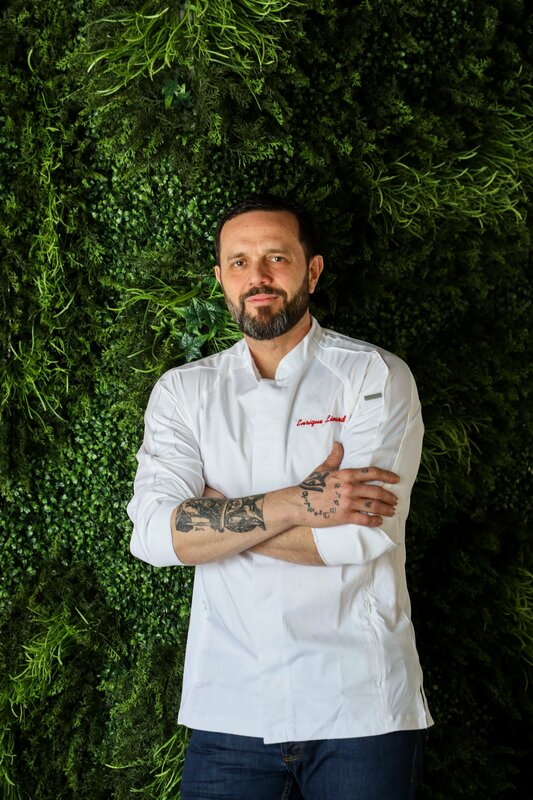 He grew up visiting coastal Venezuela and spent time in the Amazon discovering its flavors and ingredients, some of which may make their way to the “forage-to-table” menu. He plans to use indigenous types of guava and cacao as well as katara, a savory and sour spice made from ants. Patrons might also sample termites—at least in powdered form. “I like the flavor but not the aesthetic on the plate,” says Limardo. The Tranquilo y Tropical cocktail. 3. The South American/Caribbean bar program goes beyond the expected. Barman Josue Gonzalez, mostly recently of Bresca and St. Anselm, taps into his Miami and Cuban roots for the tropically themed menu. 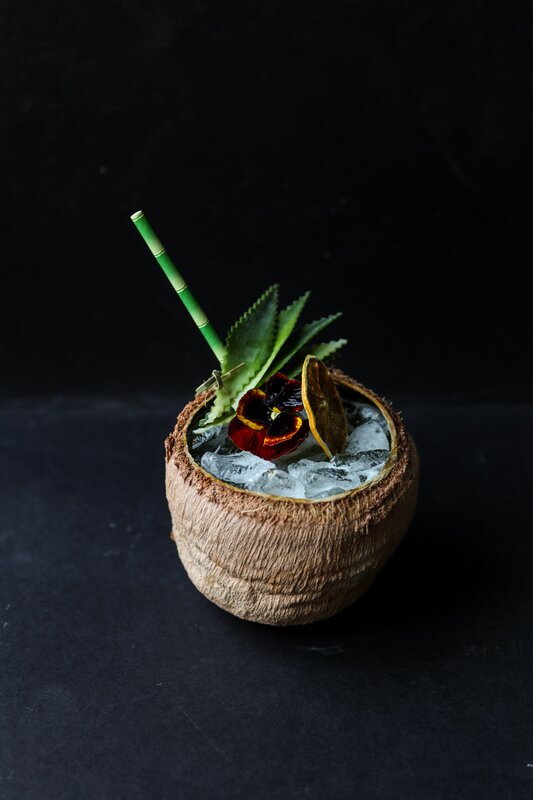 Patrons can drink cocktails out of coconuts, but don’t expect any old pina colada—the mix includes cachaça, coconut rum, Nigori sake, fresh pineapple, lime, and matcha green tea. 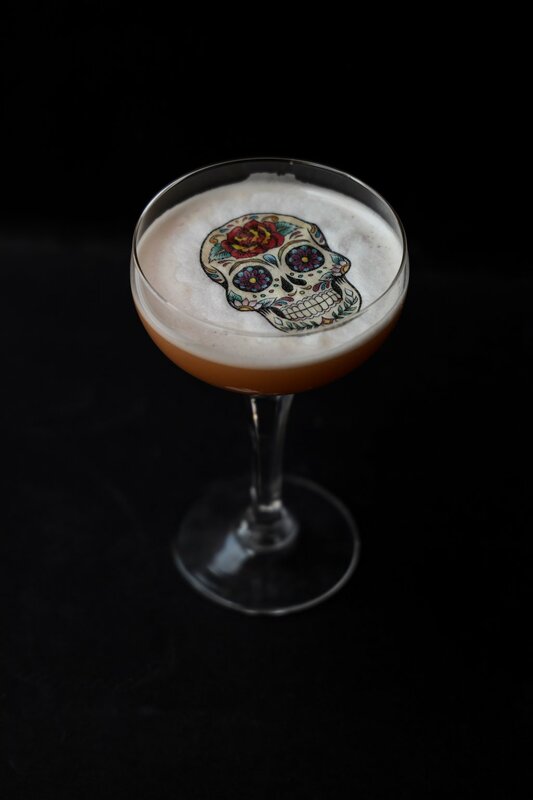 The bar will focus cachaça, pisco, sake, and shochu as well as tequilas and mezacals. There’s also a curated list of South American wines and beers. The second-floor dining room and mezzanine is designed to bring the outdoors in. 4. The space is designed like an urban jungle. The century-old building, formerly Piola, was refashioned by Miami-based designer Valentina Story. A bar and huge open kitchen greets patrons on the first floor. 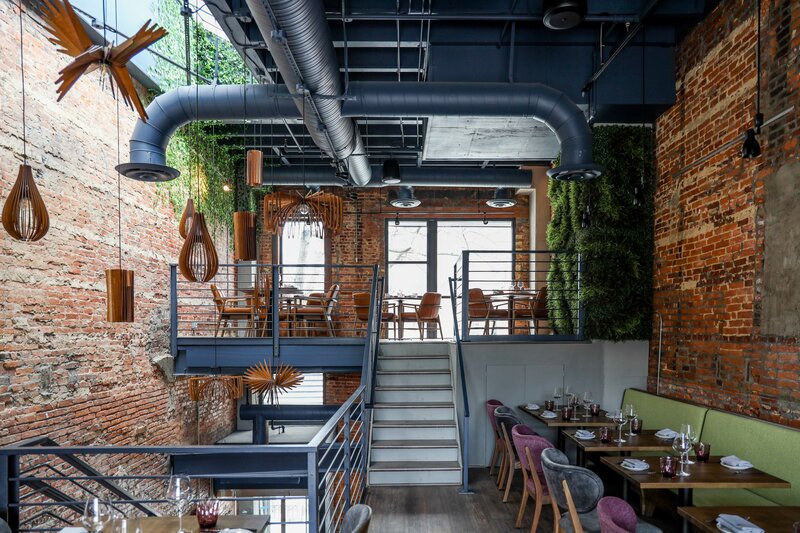 Additional leather-and-wood seating on the second floor and mezzanine feels like sitting in a treehouse given the (faux) ivy and greenery climbing the bare brick walls. Patrons can make reservations throughout the 90-seat space through Resy. 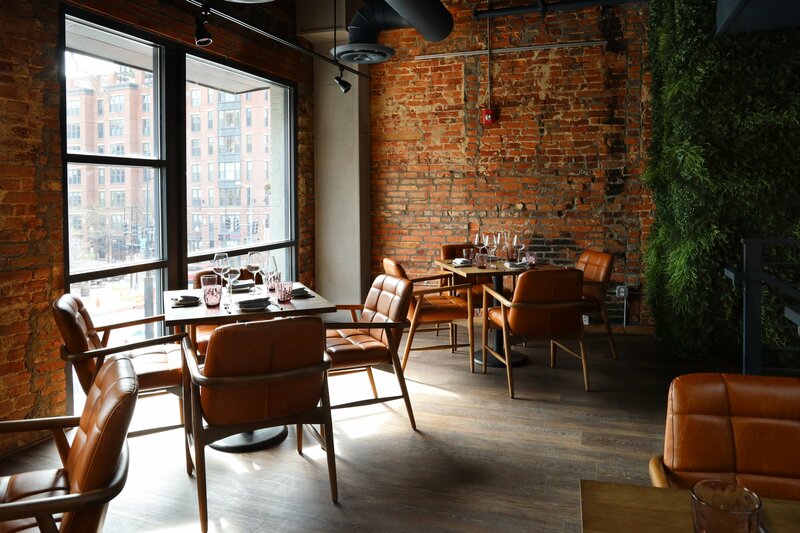 The mezzanine is outfitted with comfortable leather chairs and views outside. 5. A garden bar/patio is opening soon. Once the restaurant is up and running, it will open the second-floor patio with an additional 40-odd seats. The team says they’re still debating whether the al fresco space should be more of a bar/lounge area or serve a dining menu. Duck with torched salsa verde, sour cream, and raw cauliflower rice. 6. They’re gradually building to tasting menus. The open kitchen is flanked by counter seats and two chef’s tables, which will eventually be designated for seven- and 14-course tasting menus. Limardo, who also offered a prix-fixe at Alma, says he’ll wait until the kitchen is prepared before launching an eat-the-menu-style tasting where guests can try the expanse of what’s on offer regularly—plus experiments from the kitchen. Primavera cocktail with Altos Plata tequila, lavenders sake, and pink guava. 7. The name is a mystery itself. Seven Reasons. 2208 14th St., NW (between W St. and Florida Ave.). Open Tuesday through Saturday for dinner.